Just Let Me Do It Commercial Services is proud to announce it has awarded its second franchise territory that will serve Jacksonville and the entire Northeast Florida market. The newest franchise is part of a strategic nationwide expansion effort, and was awarded to SBAM Services, LLC. Co-owners Robert and Samantha Mayhugh and Ashley Perry will begin operations August 1, 2018. Founded in 1997, Just Let Me Do It is a commercial services company that specializes in the maintenance, repair and remodel of retail stores, restaurant chains and other commercial properties for national brands. The company is based in Charlotte, NC and operates another corporate location in Scottsdale, AZ, as well as a franchise location in Albuquerque, NM. The Jacksonville franchise will be the fourth location in operation. Just Let Me Do It is continuing its push to bring premier commercial services to territories across the United States. 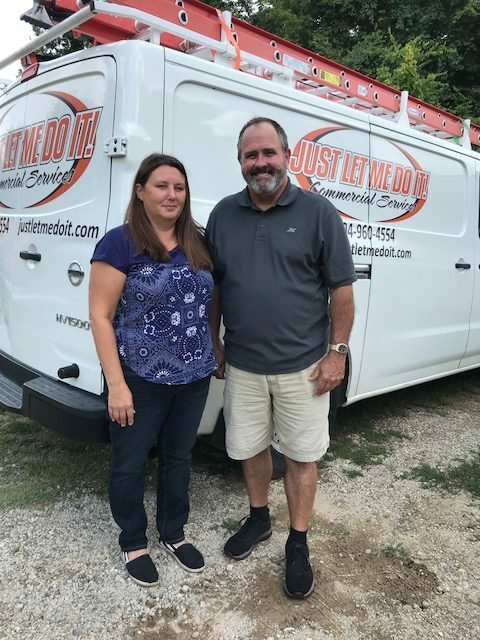 Just Let Me Do It is a full-service, commercial maintenance, repair and construction franchise company with offices in Arizona, Florida, New Mexico and North Carolina. Just Let Me Do It prides itself on being a “one-call-does-it-all” service provider, specializing in maintaining retail stores and restaurants to the highest standards. Just Let Me Do It is looking for like-minded entrepreneurs interested in owning and operating turn-key franchise territories in major markets across the United States. Visit https://justletmedoit.com to learn more about Just Let Me Do It Commercial Services. To learn more about owning your own franchise territory, please request a franchise kit.